Which Plumbing Scheduling Software is the Most Effective? Everyone in the plumbing business is talking about plumbing scheduling software. All or most of your competitors are using plumbing scheduling software to grow their service businesses. But there are many different types of plumbing software now available on the market. Each program offers different choices, options, and capabilities. So which is the right plumbing scheduling software for you? When selecting plumbing software that will do everything you need to automate your business, look no further than FieldSurf field management software. FieldSurf is now being used by service businesses in plumbing, electrical, cleaning services, garage door installers, locksmiths and HVAC companies. Take a good look at FieldSurf and see why it’s been consistently voted the best and most effective plumbing scheduling software on the market. 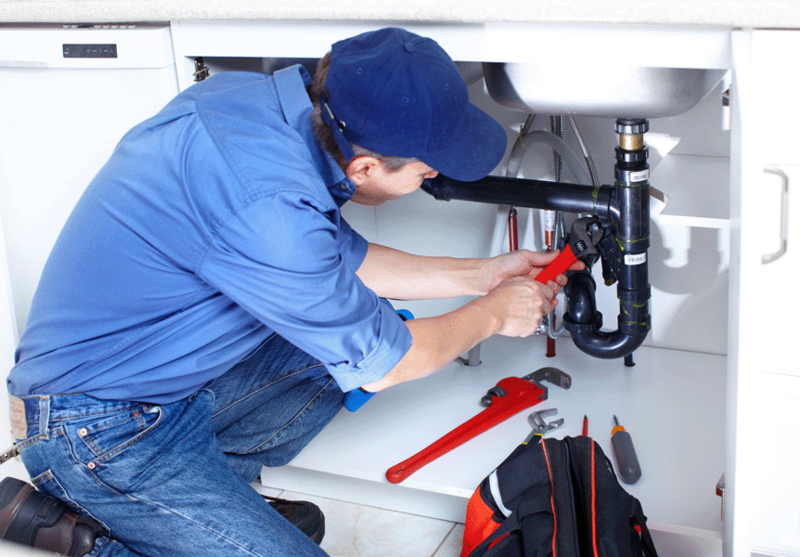 FieldSurf totally automates every aspect of your plumbing business. Scheduling and dispatch are a breeze once you install FieldSurf. No more double booking,no more scheduling errors. Your accounting department is also totally automated when you use FieldSurf. You have instant access to your financials at any time from any location — FieldSurf is 100% Internet-based and can be accessed from any desktop computer, any tablet computer, and even via a smartphone. That means you can have access to all your financials from anywhere at any time. No more waiting for your accounting department to generate your requested reports about Accounts Receivable, sales for the period, payroll due next period, and how your field technicians are performing. Al,l this financial information — and much more — is available to your accounting personnel — and to you — at any time. There’s nothing like it. All reporting is done in real time, and it’s easily the best and most effective way for you to stay on top of every aspect of your plumbing business. But the one way in which FieldSurf stands out from the crowd is the way it handles your inventory management. As a busy plumbing company, you always need to know exactly how much inventory you have on hand at all times and how much inventory you will be needing for the next period. FieldSurf handles Inventory control like no other field service management system on the market. With FieldSurf, you always know exactly how much product you have on hand at any given time. When product arrives at your warehouse, it is electronically entered into FieldSurf’s inventory module. You can scan in an image of the item, it’s product Universal Barcode, and the number of items you have added. When one of your technicians takes an item out of your warehouse and places it in his service vehicle, FieldSurf makes a note of that. Then, when your technician sells that item to your customer, the sale is noted and the item is deducted from the inventory of the warehouse and also from the inventory of your field tech. That way, you always know exactly what product you have on hand, who sold what product, and how much product you have left in your warehouse. With FieldSurf’s Inventory management module, you never run out of product: FieldSurf alerts you when you run low on any item, and when you reach a predetermined level of any item, FieldSurf alerts you to reorder. With FieldSurf you never run out of inventory, and you always know exactly where you stand. And FieldSurf delivers these figures in real time — it will even reflect any sales you made today. FieldSurf’s Inventory module comes in the Enterprise version of FieldSurf — one of the few field service management systems on the market which gives you total control of your inventory. But FieldSurf also has a host of other features which you should look at when you are considering getting into new plumbing software. When you install FieldSurf, you get total control of every aspect of your plumbing business. Your Scheduling and Dispatch function become totally automated and simplified with FieldSurf. No more double-booking, no more sending the wrong tech to the wrong address, no more forgetting to create an Invoice for any job — FieldSurf automatically creates a new Invoice whenever you create a new Work Order. And with FieldSurf, your customer receives his/her invoice electronically upon completion of the job. Upon satisfactory completion of the work, your customer signs off on your tech’s smartphone, and the invoice is sent instantly to the customer’s Inbox. This significantly reduces paperwork– no more paper invoices in triplicate for the techs to hand over to the office when he gets back after a long day at work. And as soon as the tech submits the invoice, FieldSurf makes a note of it. You always know which jobs have been completed and which have not, and you also know at a glance which accounts have been paid and which are still outstanding. FieldSurf delivers all this information to you in real time. FieldSurf is the best plumbing software for many other reasons. It is loaded with features. FieldSurf is highly affordable, easy to learn and easy to use. Simply register your company with FieldSurf and enter your customer data. You can be up and running the day you sign up with FieldSurf. And if you’ve been using Quickbooks for your accounting, you will be thrilled to know that FieldSurf integrates seamlessly and easily with Quickbooks. FieldSurf plumbing software totally automates every aspect of your plumbing business. It brings your business into the 21st century. FieldSurf vastly reduces paperwork, reduces mistakes in all departments, and makes everyone in your organization more efficient. And increased efficiency almost always translates into making more money. Every plumbing company who uses FieldSurf reports major improvements in efficiency and that they’remaking more money by using FieldSurf. If you run a busy plumbing company and want to improve the efficiency of your business, there is no better plumbing software on the market than FieldSurf. You owe it to yourself to check out FieldSurf and see how it can radically improve your business, make you and your personnel more efficient, and make more money while doing a lot less work.